Angelic Zither is a handmade 15-string, pre-80's zither from the Republic of Belarus (a little west of Russia). The zither's strings are tuned diatonically in the key of G, but the samples are stretched to cover the instrument's range chromatically. Although it only spans two octaves (stretched to 4 octaves total), this zither has a gorgeous, magical tone. We sampled the zither using a close dynamic mic and a pair of small diaphragm condenser mics as a stereo overhead. We sampled each of the 15 strings with three round-robin alternating samples and three dynamic layers, from soft, delicate notes to loud, resonant plucking. The release samples have three round-robins and three dynamics as well, capturing the slight buzzing sound that the string makes when muted. The scripting does everything from keeping track of each note's independent round-robin cycle as well as matching the volume of the release samples to the volume of the sustain. This insures that the volume of the release samples is at the correct volume depending on how much the sustain has decayed. 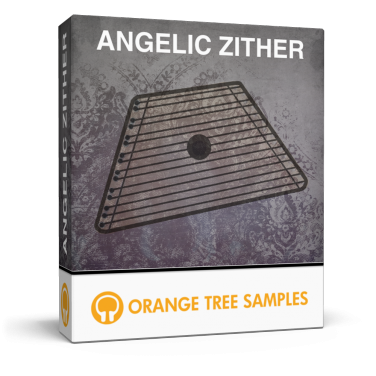 Angelic Zither has nearly 700 MB of samples and uses extensive scripting to maximize these samples as well as provide several useful controls on the interface to adjust the instrument's tone and performance settings. - 685 MB 24-bit 44.1khz samples. - 3 dynamic layers, 3x round-robin. - Separate close mono mic and stereo far mic positions. - Duration dependent release samples. This product requires a total of 1.07 GB of free disk space in order to download and install the sample library. The total size of the download is 395 MB, and after installed the library occupies 701 MB. 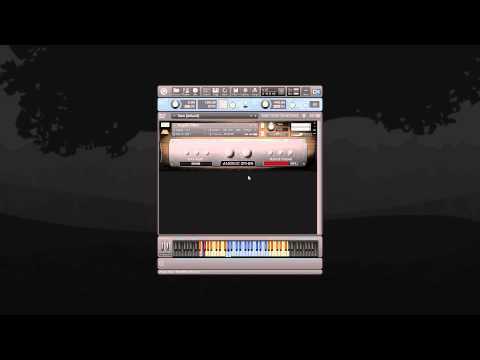 This product requires the full retail version of Kontakt and is not compatible with the free Kontakt Player.